With warmer summer months approaching (at least for us Australians) it is becoming more important to be sunsmart. 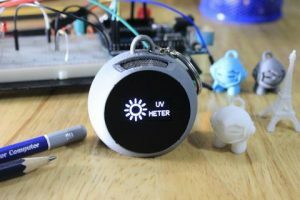 What better way to start being sunsmart than to build your own Arduino UV Meter! This UV meter uses an OLED display a ESP-1 WiFi module along with a number of sensor to provide the inputs and outputs. If you want to find out more about this impressive project check out the instructable from funelab. 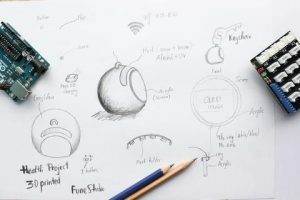 The instructions are well explained and include instructions on how to 3D print a case which is perfectly designed for the keychain.